I place during Fire theatres Festival in Gniew Castle. I place during the III Rhythm and Fire Festival FROG in Gdynia. At the end of 2009 Shao became interested in a little known art of buugeng. The experience gained throughout the years of practice and a creative mind helped him to master the techniques of buugeng and to develop an individual style. At first buugengs were introduced during Sombra fireshows. 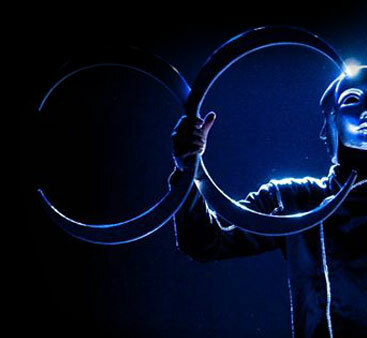 His first solo performance took place at the finals of the III Ostróda Juggling Festival, where he was applauded by both the audience and organizers. Recently he took part in the third edition of Polish “Got talent” show.